Enjoy free admission, a free miniature fine art project and free docent touring. Each Free Family Funday has a different theme based on the current exhibition in the museum. Miniature fine art project and docent touring: 12-2:30pm. The museum galleries stay open until 4:30pm. for all guests. Feel free to bring your own picnic baskets and coolers to the festival, but there will also be foodie-friendly picnic fare, craft cocktails and beer for sale, too. Enjoy eats and drinks from Maxine’s on Shine, Ten 10 Brewery, Tapa Toro, Hanson’s Shoe Repaire, and more. On the music stage, enjoy the sounds of great local bands like Beth McKee’s Swamp Sistas, Eugene Snowden, Beemo, and more. Nestled among lush, shady trees lies Mennello Museum of American Art. A place that provides a dog-friendly walking area and free (though limited) parking. Once inside, the staff are approachable and always eager to make the guests time there a pleasant one. Though the space isn’t as open as Orlando Museum of Art, the hard wood floors and warmly painted walls make it far more welcoming. On the second Sunday of each month they have “Family Free Day.” This is an event where all are welcome to visit the museum, absolutely free of charge, and soak up the artwork on display. There is also a crafts area for the kids where they, and their parents, are encouraged to participate in making their own piece of art they can bring home. 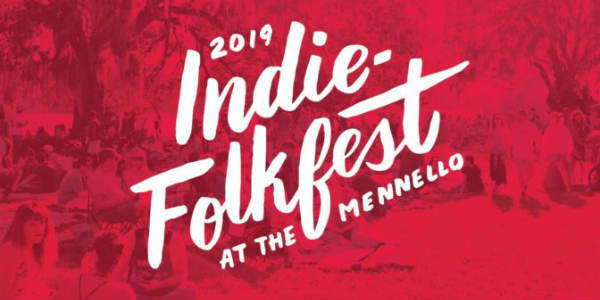 The 12th Annual Orlando Folk Festival returns to The Mennello Museum of American Art at Loch Haven Park, the weekend of February 8 and 9. This is a celebration of art, music, and traditional crafts. Local musician/promoter Joseph Martens has booked a varied lineup of local musicians this year, including Bing Futch, Terri Binion, Drums of Umoja, The JCs Trio, JUNOSmile, and Beartoe. Dozens of artists and artisans from around the country will feature their paintings, sculpture, ceramics, wood carvings, traditional crafts and other creations and inventions during the festival. There will also be a Kids Corner featuring interactive artistic activities, food trucks, and other vendors. The festival is free to attend, and runs from 10am-5pm both days. Admission to the museum itself is $5 for adults and $1 for students and children ages 6-18. 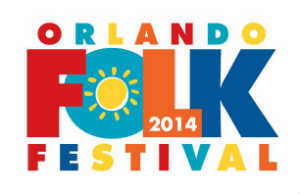 For more information, visit the Orlando Folk Festival website. Every month, the Mennello Museum of American Art holds a Free Family Day, and this month, it will be on October 13. There is free admission to the galleries, from noon to 4:30pm, as well as a make-and-take craft station & mini-tours for kids from noon to 2:30pm. This month’s special guests are I.S.K. Reeves V and Sara W. Reeves, the collectors of the Seminole art and artifacts on display. Come make a Seminole warrior crescent gorget or beaded bracelet, and talk to the Reeves about their experiences with the Seminole Tribe of Florida. 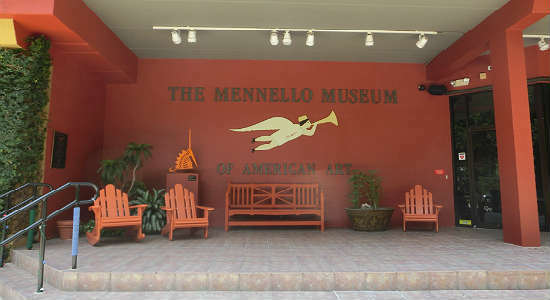 The Mennello Museum of American Art is located at 900 E. Princeton St. in Orlando. For more information, visit mennellomuseum.com. 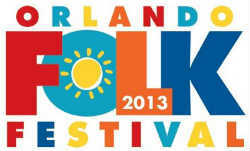 The 11th annual Orlando Folk Festival will be held February 9 and 10, 2013, in the sculpture gardens of the Mennello Museum of American Art. In the folk life area, there will be traditional craft demonstrations in the arts of silk embroidery, chair-caning, broom-making, wood-carving, weaving, bobbin-lace-making, spinning and pottery-making. Live music will play all day on the outdoor stage, and there will also be other entertainers and storytellers. Guests are welcome to bring picnic baskets and coolers, but there will also be food trucks serving Southern and American specialties for sale. Admission to the outdoor festival is free to all. Properly maintained and leashed pets are also welcome, with their owners. There is still a fee for entrance into the museum, itself. Hours are 10am to 5pm each day. Looking for a family-friendly event this weekend that combines music, dance, folk art, crafts and storytelling? 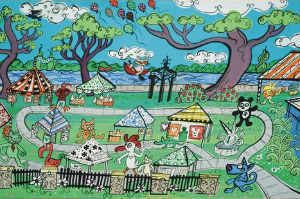 Then head to the Mennello Museum of American Art at Loch Haven Park for the 2011 Orlando Folk Festival. Among the musicians scheduled to perform on Saturday are Hwy 19, Bob Rafkin, The Ashley Gang, Crooked Road, Sarah Purser and The Token Gamblers. Sunday’s musical line-up includes The Sweetwater Sisters, Scone Train, Oak Hill Drifters, Dan Evans, The Silver Fleece and Thomas Wynn & The Believers. The event runs February 12 and 13 from 10am to 5pm, and admission is free for all. The Mennello Museum of American Art is located at 900 East Princeton Avenue. For more information, call 407-246-4278.